Just by reading the title you’ll know what kind of post this will be, another delicious ramen post! 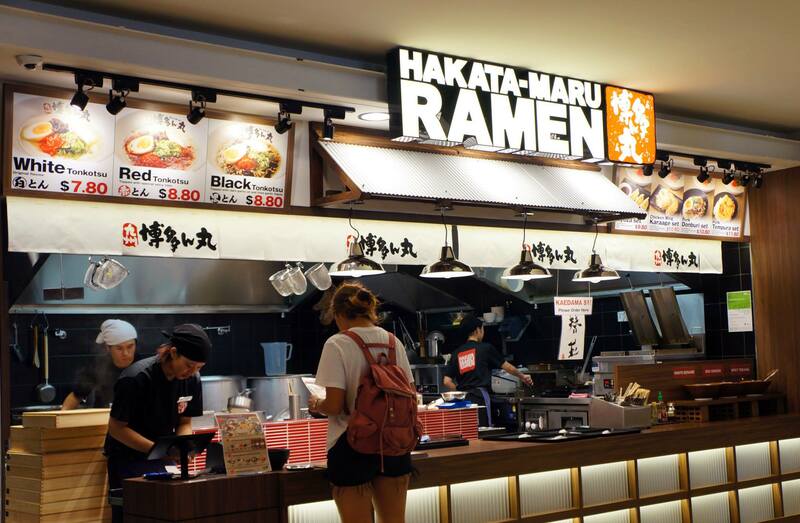 The endless flood of ramen restaurants seems yet to end and a fairly new one has recently opened in the Market City food court named Hakata-Maru. The first thing I noticed was how nicely designed the interior and exterior was, almost like a place you would find in an alleyway in Japan. The next thing I noticed was that there was only three types of ramen you could order – White, Red and Black. The White is a more clear or original ramen, Red is a chilli based ramen and Black is a garlic based ramen. 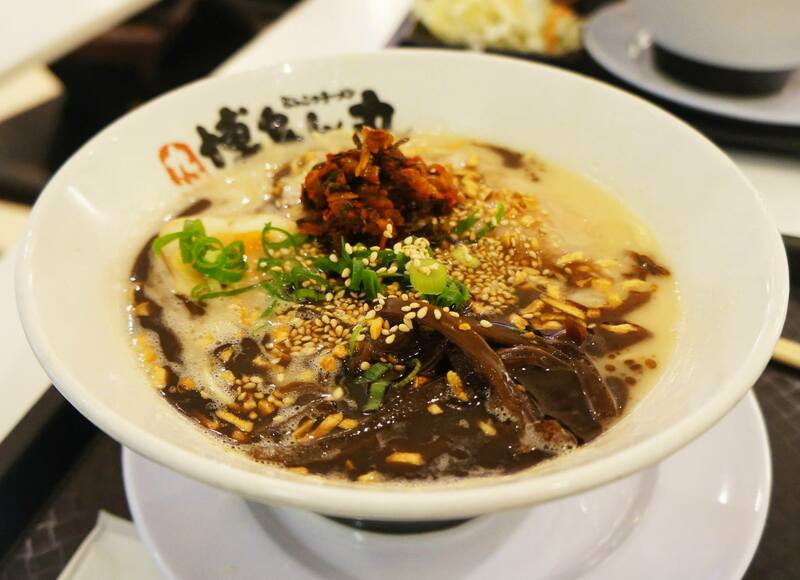 The above photo is the Black ramen which Mr C decided to order, he really felt like something interesting so decided to go with the garlic based soup which turned out to be quite nice with a very strong garlic taste. I decided to go with the White ramen but really, I just chose a random colour. The menu didn’t tell you what the difference between the ramen was in much detail aside from a single key ingredient so I just went with the original one for my meal to compare with the Black. As usual, I would always take a sip of the soup first because that usually gives a good indicator of what the remainder of the ramen will taste like. The soup was not too thin nor thick, and it was very tasty with lots of sesame seeds to give it an interesting flavour. There was also a lot of noodles however only 2 small pieces of pork which was the downside as they were also quite fatty. 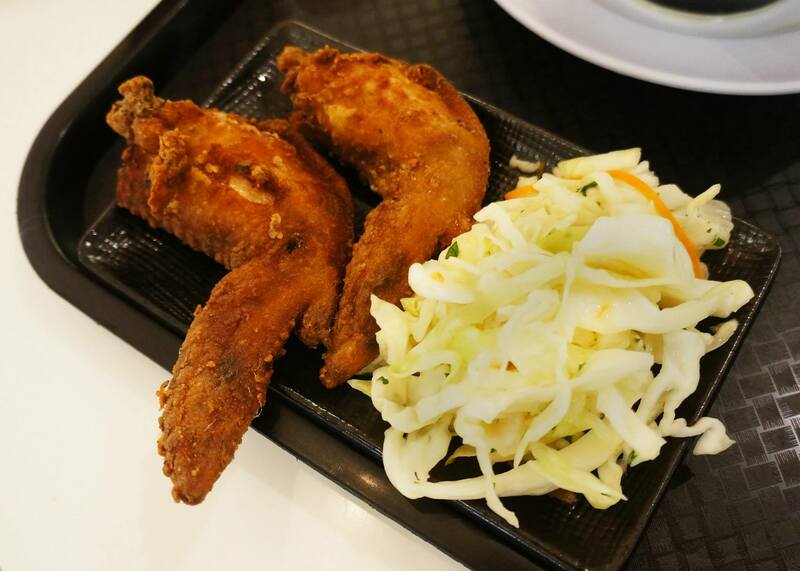 We were able to order entree sized dishes with the ramen set and Mr C went with the fried chicken. Mr C loved it so much and even took my portion. Although I only had one bite, I was extremely happy that it was not super oily and there were little herb pieces on the layer, making it extremely delicious. I really loved the salad as well which I’m not surprised about because Japanese always uses distinctive salad dressing which is amazing. I went with the gyoza as I was really craving the vinegar and soy sauce dressing. The cute little pieces were filled with contents to the max, however it was slightly cold by the time I ate it. Maybe because I’m a slow eater. 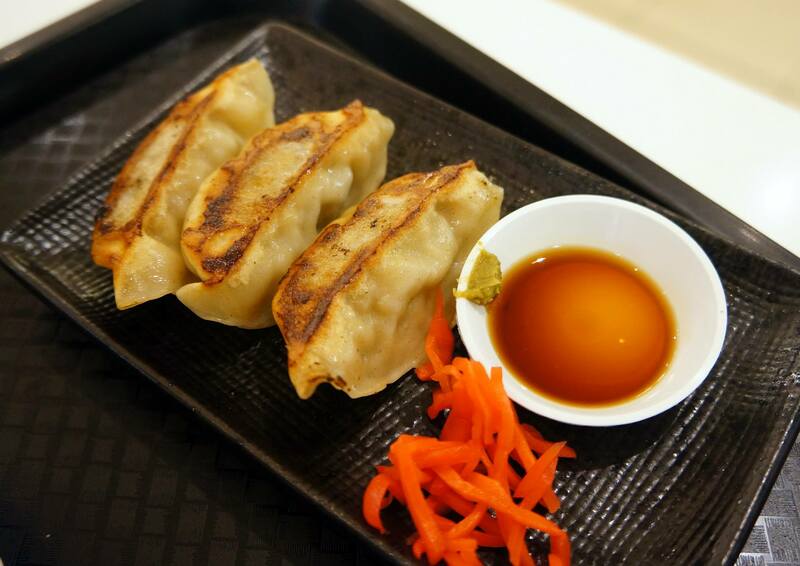 Nevertheless, gyoza are a must order for me because every Japanese restaurant that I’ve ordered gyoza at has a different and distinct taste. Can you see the big stove on the right side where the guy is? It’s a massive stove just to cook gyoza and fried chicken! 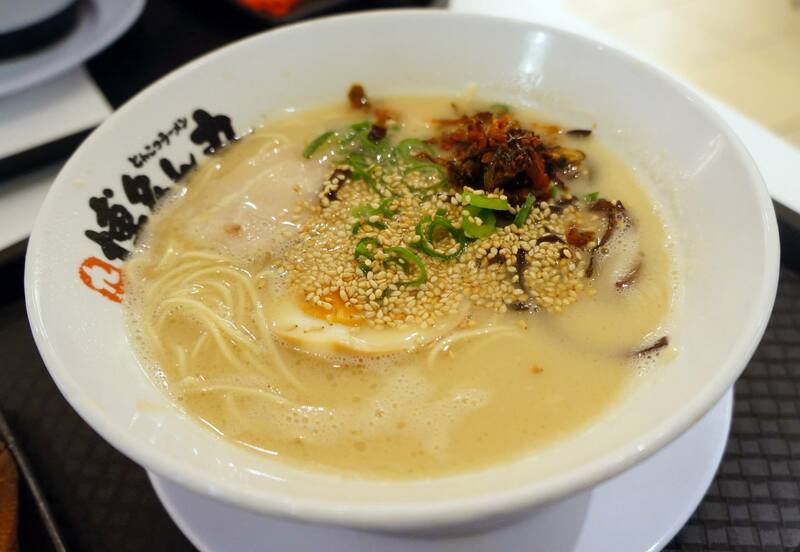 I’m quite happy about the new Ramen restaurants opening in Sydney as it gives us much more choice and variety, this latest addition is quite decent value and definitely worthy of a visit. Not quite as good as other places (i.e Menya or Ichiban) but it’s not bad either! i love garlic in ramen!